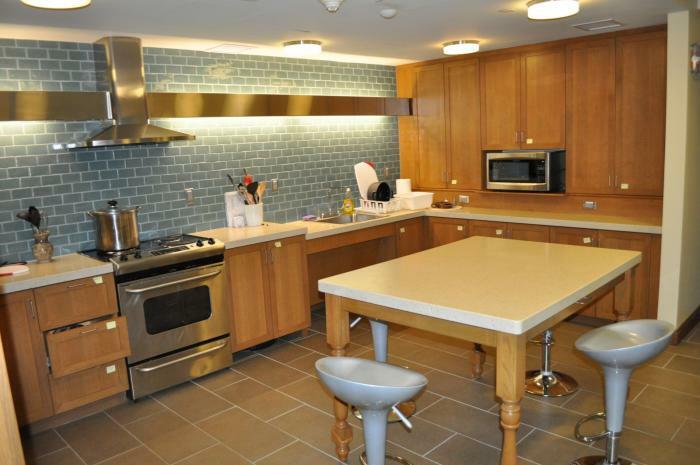 Trumbull offers a variety of common spaces for your comfort and entertainment enjoyment. For spaces that require a reservation, find room reservation forms under the Spaces Menu. As soon as your request has been approved, you will receive an email from the Trumbull Office. 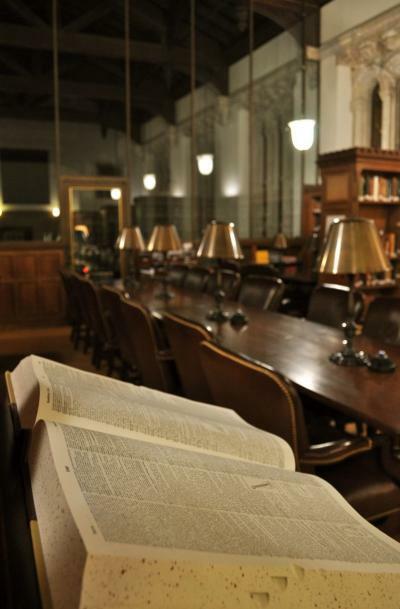 Trumbull Library: The library has been thoroughly inventoried, the favorite red plush chairs have been reupholstered, and there’s no better place to do serious studying at Trumbull. You can also take a break from your work to enjoy some of the wonderful books that crowd the shelves; see what’s new this year just to the right inside the door. No food or drink please. Common Room: Possibly the most beautiful room in Trumbull, the common room is a great place to meet friends and chat, or sit quietly with a book. There’s even a grand piano! 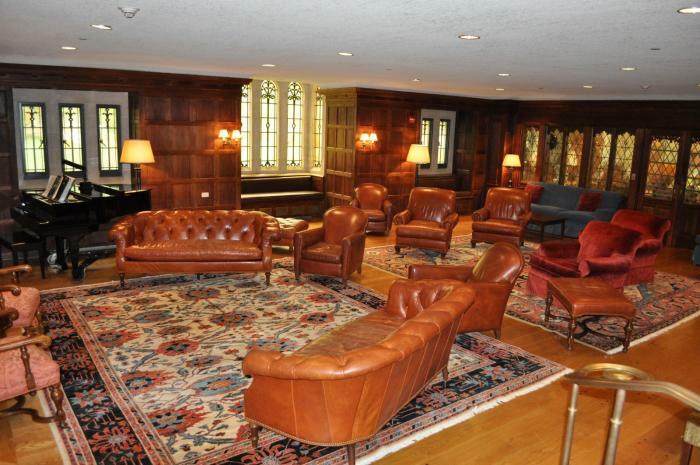 The common room is the “living room” of the college and cannot be reserved for non-TC sponsored events. RESTRICTIONS: No food or drink is allowed. 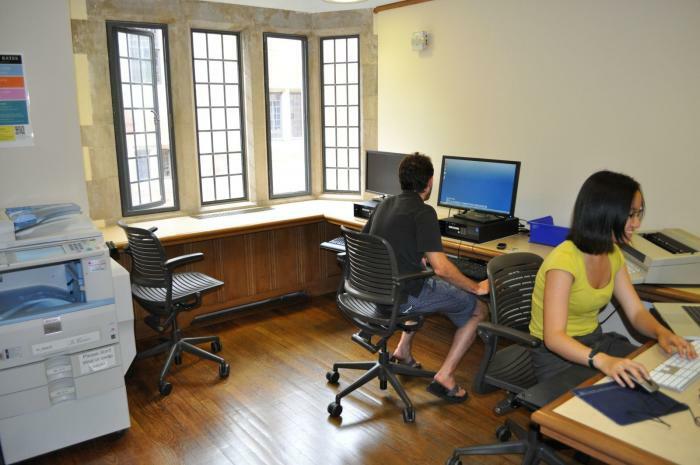 Seminar Room: Meet a tutor, schedule a meeting, have a class; the seminar room is multi-purpose. There is also a 65-inch flat-screen TV with Blue Ray for presentations. 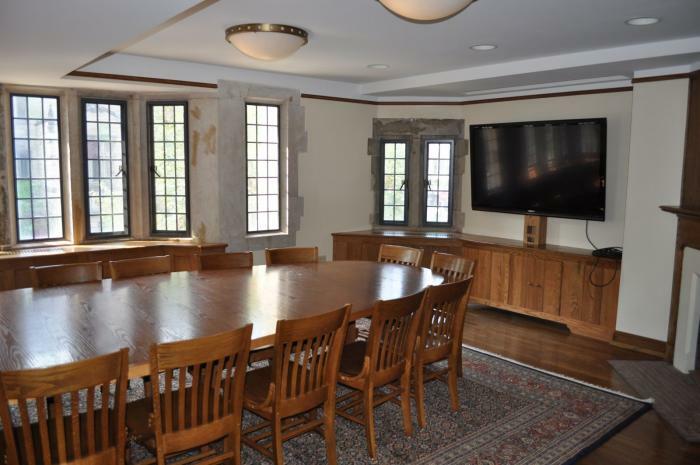 This room is for academic and educational purposes and is an official Yale classroom. When it is not in use for class purposes, students may use it for individual or group study and for meetings. This activity room is first come, first served. Reservations are needed for standing reservations only. If you wish to request a standing reservation, please check availability and complete a room standing reservation request form. As soon as your request has been approved, you will receive an email from the Trumbull Office. ACCESS: Trumbull residents use their room key; off campus, Old Campus and Swing Space need to sign out an activity room key from the Head of College’s Office. Gym: We have 3 ellipticals, 2 treadmills, a stationary bike, rowing machine, free weights, medicine balls, and lots of other equipment to help you stay strong and healthy. There is a suggestion box in the gym just inside the door to the right. For access, if you live in TC please use your room key; if you live on Old Campus, Swing Space or off campus, please sign out an activity room key from the Trumbull Office. If you have questions about the space, contact the Trumbull Office. There are two music practice rooms. The MUSIC PRACTICE ROOM (Room 24) in the basement is a smaller space with an upright piano and room for two additional chairs and music stands at most. This activity room is first come, first served. For access, Trumbull residents use their room key; off campus, Old Campus and Swing Space need to sign out an activity room key from the Trumbull Office. 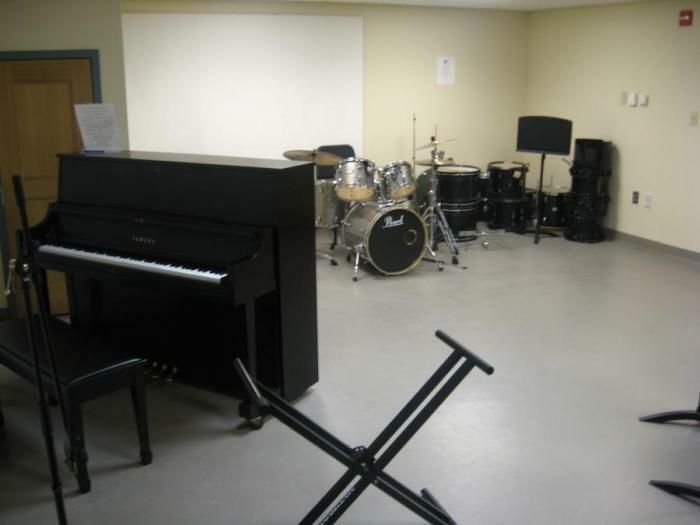 The MUSIC STUDIO (Room S14), located in the sub-basement, is a larger space with a piano and drum set and is suitable for individual or group practice. To request a key for the music studio, you need a check availability and fill out a room request form. As soon as your request has been approved, you will receive an email from the Trumbull Office. A key cannot be signed out before the request form is approved. Complete Part I of request form if the space will only be used for individual practice purposes. Complete Part II of request form if space will be used for group practice. This practice room is used on a first come, first served basis. RESTRICTIONS: Trumbull student(s) must be the individual or a member of the group. No food or drink allowed. 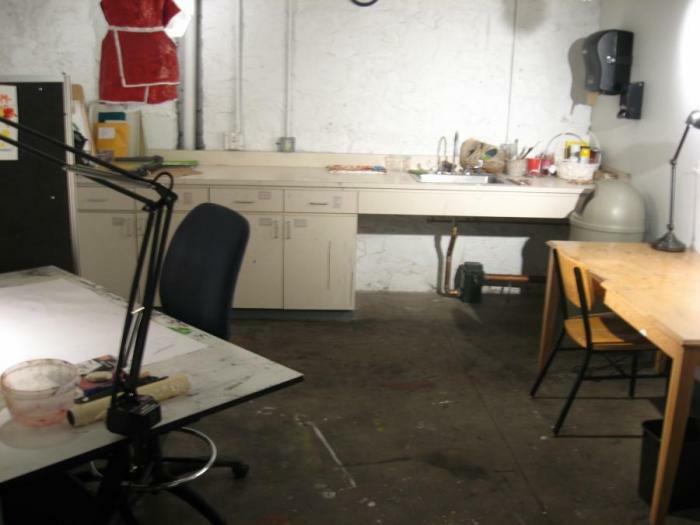 Art Studio: Our art studio has a wide array of art supplies, a drafting table, and easels. There is also a sewing machine and adjustable dress form for fitting the clothes you make that can be signed out through the art studio student aide. To obtain a key for the art studio visit the Trumbull Office. No food or drink please. To check availability of room and fill out the form required to reserve the art studio, please go here. As soon as your request has been approved, you will receive an email from the Trumbull Office. A key cannot be signed out before the room request is approved. RESTRICTIONS: No food or drink allowed. 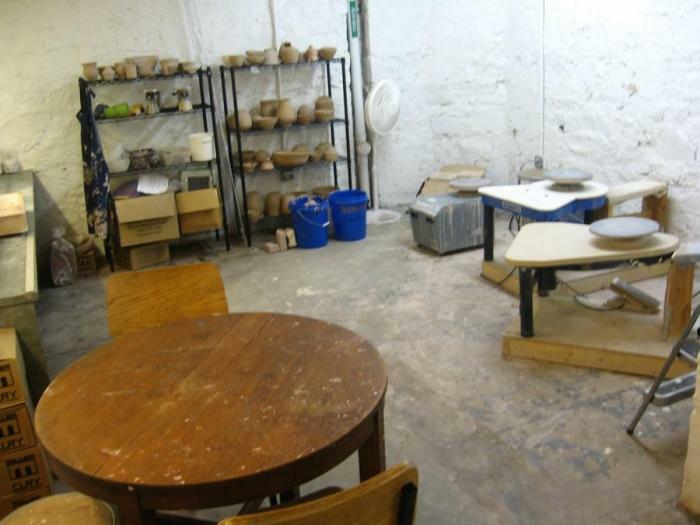 Pottery Studio: We’ve re-furbished and re-supplied this space over the summer. Our kiln is fired up and ready to go. Look for e-mails for pottery workshops and open studio times and learn something new! If you have questions about using the space, contact the Trumbull Office or the pottery studio aide. To obtain a key to the pottery studio visit the Trumbull Office. No food or drink please. This beautiful black-box theater offers a host of opportunities to anyone with thespian tendencies. There is also a large movie screen and projector. To check availability, please visit the Nick Chapel Google calendar. If the theater is available, please submit one of the applications: Live Production or Special Event (Non-Live) to tcadmin@yale.edu. Live Production Application. Note: This link will bring you to the Undergraduate Productions website, you can find the Nick Chapel application under “Resources”. If your request is approved, you will be contacted by the Nick Chapel student aide who will confirm your reservation request, review user responsibilities, user procedures and user access. Gallery: Got art? Why not display it in the art gallery. All-new LED lights will prove illuminating. If you don’t have art, check out what others are doing. The gallery is only available for Trumbull sponsored exhibits. The Gallery may be reserved for Trumbull exhibits with the permission of the Trumbull Office. To obtain a key for the gallery, you need to check availability and fill out a request form here. As soon as your request has been approved, you will receive an email from the Trumbull office. A key cannot be signed out before the room reservation form is approved. The gallery is usually reserved for one week at a time from Wednesday to Wednesday. Opening receptions are also considered when reserving the space. RESTRICTIONS: No food, no drink allowed. Tango to your heart’s content in Trumbull’s dance studio; the flexi-floor will keep you limber. To check availability, please visit the Dance Studio Google calendar. To obtain a key and/or make a reservation for the dance studio please fill out the room reservation request form and send it to tcadmin@yale.edu. As soon as your request has been approved, you will receive an email from the Trumbull Office with information about signing out a key. A key cannot be signed out before the room request is approved. 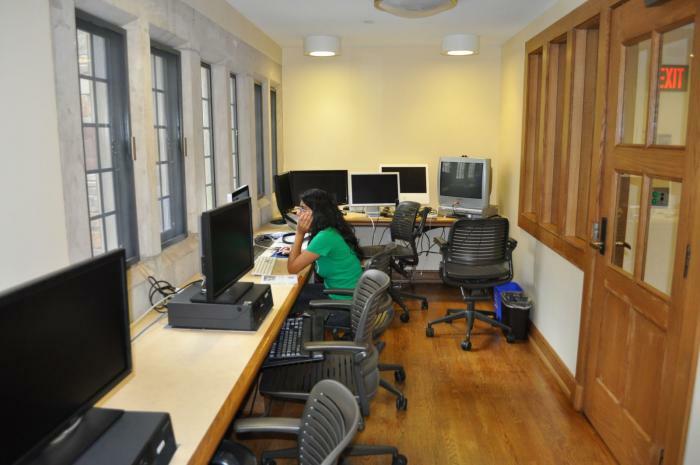 Students may not reserve the space for more than 3 hours per week per individual/group. Dancers are welcome to use the studio on a first come first served basis anytime it is available. RESTRICTIONS: No street shoes allowed. No food or drink allowed. 2/18/19: The problem with accessing the calendar has been reported. 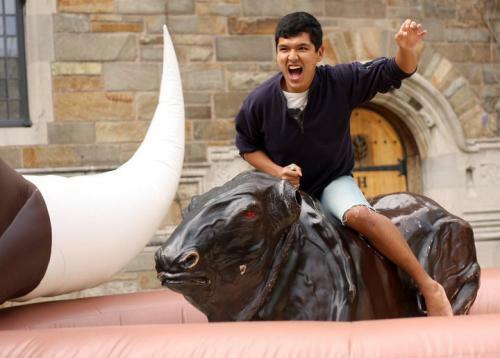 In the meantime, please email tcadmin@yale.edu if you need assistance. We apologize for the inconvenience. Thank you. The Study: It’s big. It’s roomy. It’s the TV room. Enjoy the large flat-screen TV and catch your favorite shows or sports event. The TV room is available on a first come, first served basis. 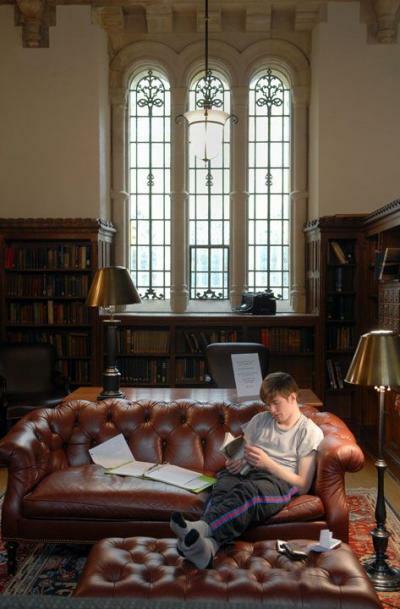 We have the library for quiet study, the seminar and common rooms for group study, and now we have “The Study”, a gorgeous new space for lounging and group study with a chic, 1930s retro feel. “The Study”, is located in the basement of entryway D and is furnished with lots of comfortable seating and great lighting. The flat screen TV has a new Oppo multi-regional DVD player for projecting special projects or movies from your laptop. Enjoy “The Study”! To check availability, please visit the The Study Google calendar. To make a reservation, please fill out the room reservation request form and send it to tcadmin@yale.edu. As soon as your request has been approved, you will receive an email from the Trumbull Office about the signage you need to post on the doors. Signage is provided by the Head of College office. The key for this room is your room key. If you live in Bingham or off campus, please use your activity room key. If you don’t have an activity room key, please come to the Head of College office (room G103) to sign one out. Student Kitchen: It’s a true transformation from our little closet of old to the big, beautiful space we’re about to move into. Bon appétit! If you have questions about using the student kitchen contact the Trumbull Office or the Student Kitchen Aide. Any Trumbull student is eligible to use the kitchen. To request a key for the kitchen, you need to fill out a kitchen request form. As soon as your request has been approved, you will receive an email from the Trumbull Office to please contact a Student Kitchen Aide to schedule a time to use the kitchen. A key cannot be signed out before room reservation form is approved. The kitchen key is to be signed out from the aide then returned after using the space and inspection. This makes it possible to maintain a clean and well equipped space for all. NOTE: YOU DO NOT SCHEDULE A TIME TO USE THE KITCHEN ON THE REQUEST FORM; INSTRUCTIONS TO CONTACT A KITCHEN AIDE WILL BE SHARED WHEN YOUR REQUEST IS APPROVED BY THE OFFICE. CLEANING UP: When using the kitchen, you are expected to clean up, wash your dishes and put things back where they belong. There is also a broom and mop so you can clean the floor. Remove trash and reline trash can. Take trash to dumpster outside, do not use Buttery trash cans. Your privilege to use the kitchen may be revoked if you don’t follow the rules. Please schedule time to have the space inspected by the aide when you sign out the key. Computer Clusters: Need a computer? No problem: head upstairs to one of Trumbull’s two computer clusters. We’ve also added a two-monitor state-of-the-art AV editing station; make your own movies and become famous!